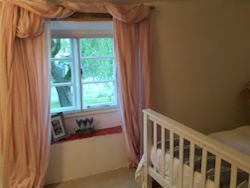 Hypo-allergenic pillows and duvet With this newly added guest room, Bedroom 3 can now be booked together with Bedroom 2 for a party requiring two rooms for double or single occupancy with shared use of the shower room. Ideal for family or friends. 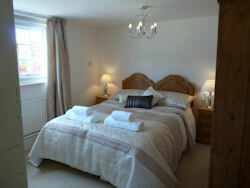 (This room is not available separately) Please telephone 01258 861167. 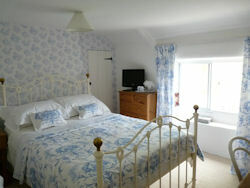 For Single Room Rates Midweek breaks and Full week bookings please contact us directly on 01258 861167 or by email.